Hello aspirants. I’m Utkarsh Bajpai, an Economics graduate from Delhi University. Before I start with tips and strategies, let me tell you something about myself. 1) I am a non-engineer. 2) I am a fresher. 3) I took a drop. Now, each one of this is considered to be a disadvantage or a setback in one’s quest to write CAT and get into a good B School. And yet here I am, with 99.87% in CAT 2018 and an IIM Ahemdabad conversion. My past acads are 89.3/95.8/72.3, for those who were wondering. I’m sure some (if not most) of you are able to relate to atleast one of these points. The objective of sharing this is not to boast, but to show that none of these things can stop you from getting into your dream college. So let’s begin! VARC comprises of 34 questions, out of 24 are reading comprehension questions and 10 are verbal ability. 24 reading comprehension passages are usually divided into 5 passages. Verbal ability questions consist of parajumbles, odd sentence parajumbles, etc. A common error is that people read the passage, read the question and then again go back to the passage to figure out the answer. This isn’t the right approach, as it leads to time wastage. You should try to read the passage so thoroughly, that you don’t need to go back to the passage. You can also practice doing this. Give yourself as much as time as you need to go through the passage, but once you see the questions, you can’t see the passage. This should improve the quality of your reading. There are usually four options available in a question. Reaching the right answer needs you to apply the process of elimination. Don’t look at all the options and directly decide which one is the right answer. Eliminate the wrong options first. There are a lot of ways to spot the wrong option. One of them is use of extreme words like All, Every, None, Only, etc. In the passage the author might have mentioned something in a generalized manner, but the option could present in an extreme manner. For example, author says Indrajeet is a great man; and if the option says Indrajeet is the best and greatest man, then that option is incorrect. Quite often, one option is the exact opposite of the right answer, and can be easily spotted. You would mostly be able to eliminate two options easily, and it always comes down to two options. Refrain from random guessing here, and attempt only if you’re reasonably sure. When you get an answer wrong, go through the analysis of the answer, and try to figure out where you went wrong. It is important to be convinced that the right answer is actually the right answer. By doing this, you’ll be able to realise the error of your thought process and accordingly reconcile it. LRDI is always the most unpredictable section, as past trends have shown. Initially I would take over 30 minutes to be able to rack one set (not exaggerating! ), and finally ended up getting the highest percentile in the section. The golden mantra for LRDI is “PRACTICE”. A big mistake people make in this section is that they wait for the course to get completed in their coaching institutes. Let me tell you that there is no course or syllabus for LRDI. There is no specific number of set types that you’ll be asked. So it’s crucial to start early. Don’t wait for your coaching centres. Start doing 4 sets everyday. You can look for PDFs of old mock series from TIME, CL, IMS. Or you could look up past LRDI events at iQuanta course which are having 200 CAT level LRDI sets with video solutions.. I wouldn’t recommend any books for this, as I feel the books have failed to stay in touch with current LRDI patterns. Even if you’re able to do this for 150 days, you’ve done 600 sets! And at that point, you would be nailing the LRDI section. You can obviously increase the number of sets as you get better, but regularity is a must. Now coming to how to tackle this section in a mock. You get one hour and 8 sets, each set with 4 questions each. When the time starts, don’t start solving the questions right away. Take around 5-10 minutes to go through all the sets, and classify these sets into three sections in order of difficulty. The first section has the must do sets(2-3sets), the second section has the sets that aren’t as easy, but still doable to an extent (2-3sets), the third section has the all the super hard sets that have to left and given no further attention. That’s the trick, you don’t need to do 8 sets. You just need to do 4-5 sets. That means with the remaining 50 minutes, you get 10-12 minutes per set. Don’t marry any set. Flirt with the sets, and if they seem stubborn and hard to deal with it, move on to the next one. This is crucial. A lot of of times people take on their ego to crack a set and end up wasting too much time on one set. Terrible idea! Use options given in the questions and see if you can extract some information. If you’re asked “Who lives in the red house?” and are given four options, then that means one of out of those four live in red house,and the resy don’t; and you can use this in your table. Jugaad is the way to go. Lastly, even the most difficult sets have 1 or 2 easy questions. If you get time, try to pick these easy questions that require minimum calculation. Practicing different kinds of sets helps you do all of this better, and is therefore an absolute necessity. Whenever you see a question, try to classify it into one out of these three sections – Round A, B, or C. What are these rounds? Round A stands for ‘Aata hai’. Round B stands for ‘Baad me’. And, Round C stands for ‘Chor do’. When your one hour starts, see the first question and figure out in your head if it’s Round A, B, or C. If you think the question is easily doable, and can be done in less time(under a minute and a half max), then it’s in Round A. Solve it and move on. If you think maybe you can do the question, aren’t 100% confident, or the question seems doable but time consuming, then it goes to Round B. Mark such questions and come back later to them. If the question seems too difficult, or completely new, then don’t even bother spending time on them. They’ll come under Round C, and need to be left quickly in less than 30 seconds. Go through all the 34 questions, solving Round A questions (around 10-15), marking the Round B questions (around 10-15), and leaving the Round C questions. Once you’ve seen all the questions, go back to question 1 and now solve all the Round B questions. This is a tried and tested technique and every mentor will recommend it to you. However, there is always room for adjustment, and everyone has a personal style of applying this technique. Figure out your style. And the only way to do this is by giving n number of mocks. Coming to the preparation part. If you’re bad at quant, don’t worry. This is the section where there is most scope for improvement. Attending a two hour lecture for VA or LRDI might not increase your skill that much in those sections, but a two hour Quant class will definitely add a lot of value. Apart from iQuanta course you could also refer books such as Arun Sharma or Sarvesh Verma. Give yourself a certain duration in which you want to complete a certain topic. For example, if you’ve started Geometry, then try to complete it in two weeks. Cover all the topics. Mark the good questions, so you can refer these questions easily in the future. Keep a notebook to note down all the formulas and question types. Don’t just run after short cuts and tricks, try to learn basic concepts too. It’s important to grasp the topics properly, once you do that, shortcuts will come naturally to you. Keep solving the questions posted on the iQuanta group. It’s helpful. When you’re solving questions from a certain topic continuously, your brain gets adjusted to those type of questions. But on the iQuanta group, questions appear randomly from any and every topic, and make you think on your feet and recall your concepts. Just like in the actual CAT. Being an iQuanta student I can say that iQuanta Course provides ample resources to excel in CAT and at a fraction of the price of a traditional coaching centre. It is said that you’re the average of the five people you spend most time with. This is where iQuanta has an edge. 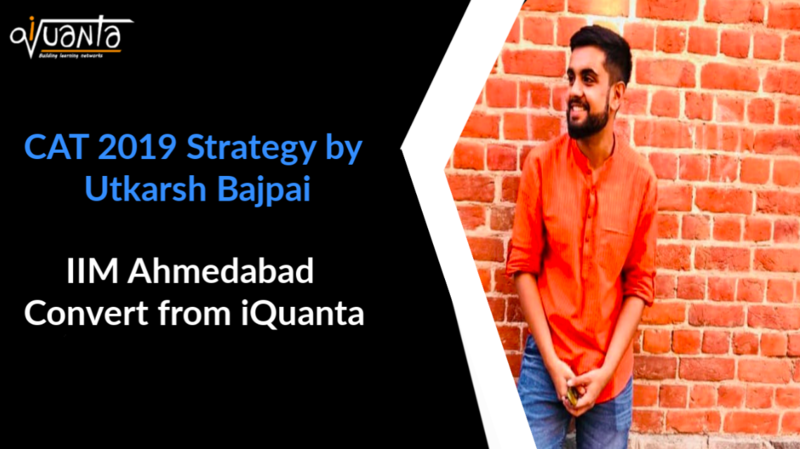 The peers at iQuanta are high achievers and smart, and their company helps you strive to be better. Lastly, feed this in your brain that there are no marks for the steps. You dont need to have a proper solution. You just need to mark the right answer. Most of us have a tendency to write every detail of the question as we’re reading it. Stop doing this! Try to write as little as possible. Use jugaad as much as you can. But remember, jugaad comes only when you are an expert in the topics. The magic word to crack CAT is “Mocks”. 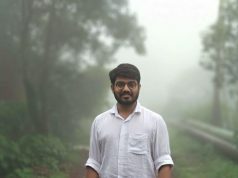 You could solve Arun Sharma as many times as you would like, but unless you take a lot of mocks, you can’t do well in CAT. In my opinion, coaching and practice make up for only 50% of your total output. The rest 50% is your mocks. CAT isn’t a test of who knows more. If you were given 8 hours to solve the paper, you’ll probably be able to do it. But the real challenge is to do it in 3 hours. You need to write atleast 30 plus, preferably 40 plus mocks. This is a must. And not just write mocks, but also analyse them. You can find various articles on how to analyse mocks. You should start writing mocks latest by July. You can even start early. There is no harm. July onwards, try to write one full mock every week. Then from October, increase the number of mocks to 2-3 in a week. Apart from full mocks, you should also write sectional mocks. They’re equally as important to hone your test taking skills. Something that helped me massively was the Imagineering technique taught by Mudit Yadav sir at iQuanta. In this, you’re supposed to close your eyes, and imagine. Imagine the day of your CAT exam, in excruciating detail – right from the moment you wake up to the moment you come out of the exam centre. Also imagine the day of your CAT result or the day you enter your dream college. Imagine your happiness and your family’s joy. Imagine you proudly telling everyone your achievements. I would do this every other day, and this helped me stay motivated. In conclusion, I’ll wish you all a very good luck. And remind you that toppers don’t grow on trees. If you believe in yourself, then you can easily crack CAT.